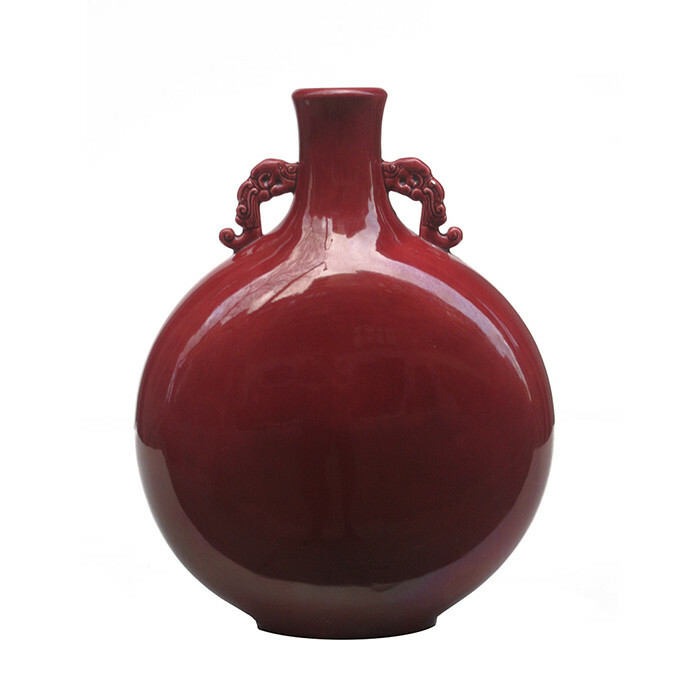 Fine "Moon Flask" Red Ceramic Vase. A fine " Moon Flask" red ceramic vase. Marked: " Sèvres, Made in France." Dimensions: H:15 W:11½ D:6 Inches.